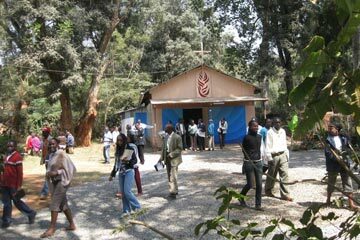 Over 150 young people from Kenya, Uganda, Tanzania, Rwanda, Burundi and the Democratic Republic of Congo took part in two retreats organised by the Taizé Brothers at Mji wa furaha – Nairobi during the second and third weeks of August. At the heart of the meetings were three times of prayer each day. 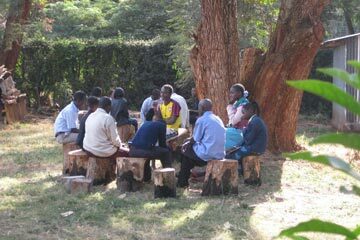 The morning program consisted of Bible reflection led by one of the brothers, personal reflection in silence, and sharing in small groups. In the afternoons, workshops and visits to places of hope in the vicinity offered possibilities to deepen the relationship between faith and life. Among the places visited: the Boma Rescue Centre; a rehabilitation project for street children at the Mukuru dumping site, St John’s Library in Korogocho; aimed at supporting students in their homework, the home for the disabled run by the Missionaries of Charity (Mother Teresa), Nyumba ya wazee; home for poor and elderly people run by the Little Sisters of the Poor. The afternoon workshops also included: Human Rights, justice and the Gospel; with Ann Power, judge at the European Court for Human Rights in Strasburg; The challenges of environment, emergencies and possible actions; with David Williamson, researcher at the World Agroforestry Centre in Nairobi, expert in climate science; Being responsible in professional and family life, taking leadership in Church and society; with John Ndanbuki, carpenter in Kariobangi. 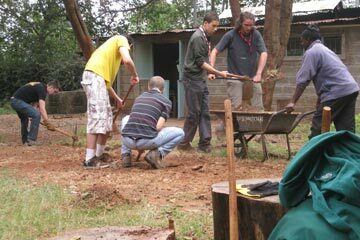 The next international retreats led by the brothers will take place at Mji wa furaha – Nairobi, from 1 to 5 and from 8 to 12 December 2010. 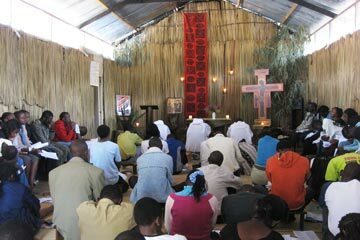 Each last Friday-Saturday of the month, the brothers invite young people for a mini retreat at Mji wa furaha. Information: Brother Luc, tel: +254 (0)724 664 198.